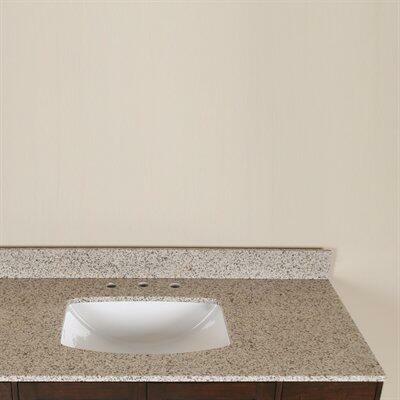 The granite top and matching backsplash match so well with my toilet and shower. Great buy! 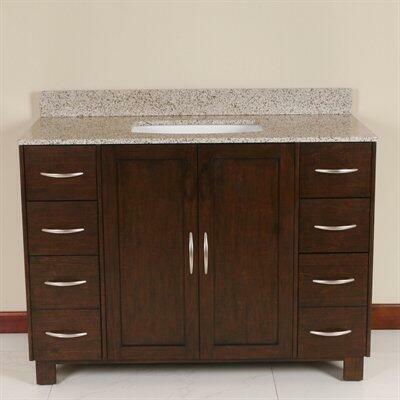 This is a beautiful, well-made cabinet with a good quality granite counter. Unfortunately, I have had to replace it because it is much deeper than most bathroom vanities, at about 23.5 - 24``. My space needed something less than 23``. It is a good find if your space allows for it. There are plenty of less expensive vanities out there, but I do think that the price of this piece is justified since the quality is so good.